The new American Cancer Society report shows us that cancer deaths have dropped by 27% since their peak in 1991. The decrease is attributed to early detection, better treatments and a reduction in smoking rates. 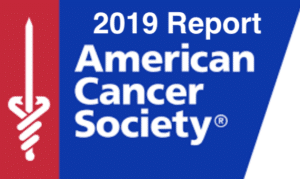 The ACS report also points to a socio-economic disparity in the numbers, based on broad county and area reports collected by Surveillance, Epidemiology, and End Results (SEER – a National Cancer Institute source of epidemiologic information on the incidence and survival rates of cancer in the United States, where access to education and healthcare remains a problem. Additionally, lower incidence has been slower in cancers such as lung and prostate. Also, rates of new cases rose for pancreatic and other cancers. While the overall decline in rates is great news, we must keep up the momentum to create early detection tests to save lives as cancer remains the second cause of death in the United States (22% in 2016), and a major health issue worldwide. Canary Foundation has been on the forefront of stimulating the field of cancer early detection globally by demonstrating cancer early detection tests as well as hosting scientific symposiums, mentoring researchers choosing the early detection path, and forging important national and international partnerships. To address access problems, Canary’s investments have focused, when possible, on cost-effective tests as a path to bridging the socio-economic disparities. Examples can be found in are our funded studies in enhance ultrasound using microbubbles, where ultrasound is found in doctor’s offices worldwide, representing an imaging modality in development useful for multiple cancers that is low-cost, non- invasive and with the additional benefit of not using radiation.